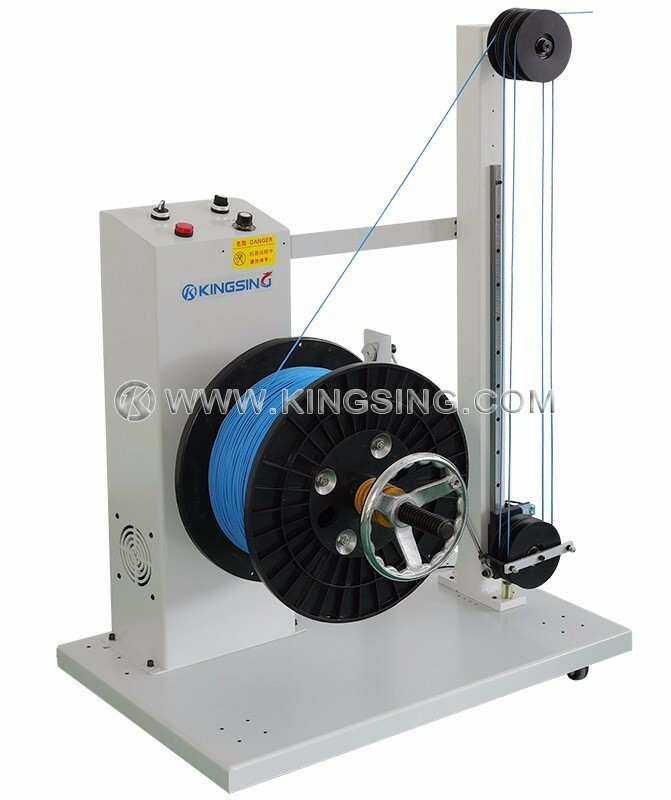 The automatic wire prefeeder KS-W221 is specifically produced for reel material, it's able to feed the wire gently and continuously to the active wire storage. The intake of other wire processing machines such as wire cutter and strippers, terminal crimpers, takes the wire out of the storage and prepare for further processing. Thanks to this wire prefeeding machine, it is possible to run the fully automatic processing machines at a high speed without worrying about the feeding capacity. 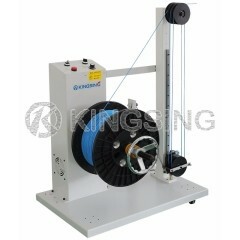 The wire dereeler is characterized by utilizing frequency control technology to guarantee a smooth and consistent wire feeding performance, motorized brake control method allows accurate feed effect. 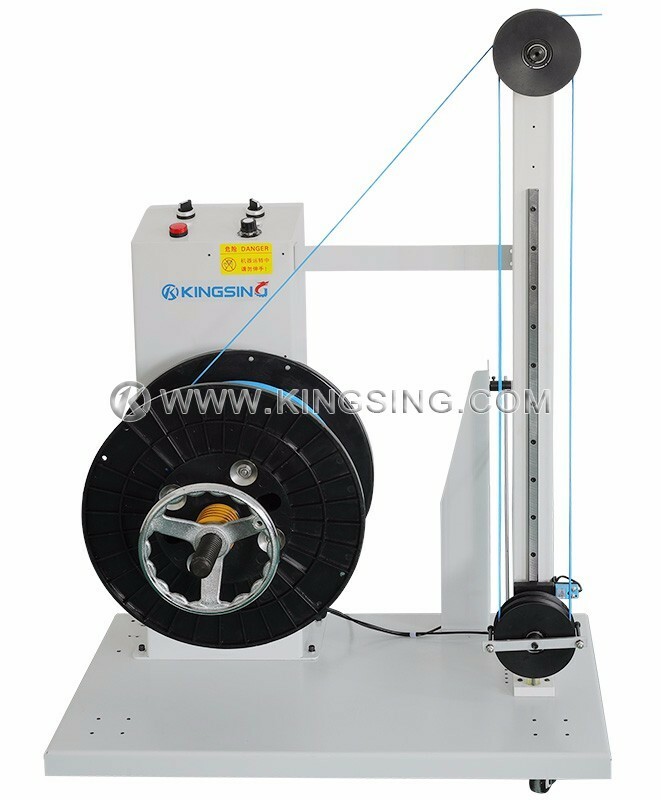 KS-W221 has an adjustable speed control system, which automatically controls accurate and effective wire feeding procedure, it has a high application range and does not require any electrical connection to its host machine, the wire dereeling speed automatically adjusts to the speed of demand. 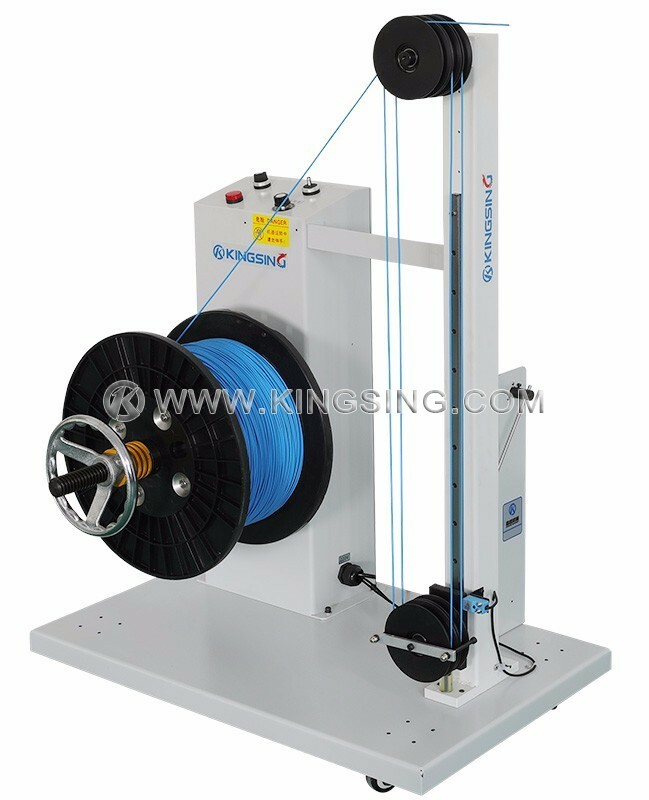 The vertical structure saves installation space and features quick loading and unloading, robust design enables wire reel loading up to 70 Kg. 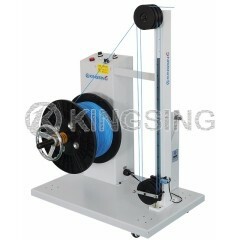 Easy installation and operation, limited training required. 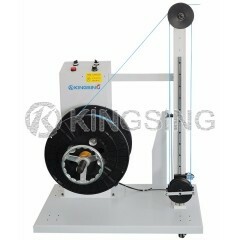 Easy transport for its compact frame and medium weight, convenient to move with four movable feet.